What makes us the premier Chrysler Dodge Jeep RAM dealership serving North Canton? 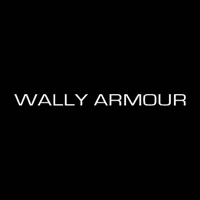 Well, it starts with our extensive inventory, but we offer much more than just amazing new cars at Wally Armour. We do pride ourselves on our extensive line of new domestic coupes, sedans, vans, hatchbacks, pickups, and SUVs, but we like to get a little more granular as well because we offer amazing muscle cars, luxury “Imports from Detroit,” and some of the absolute best off-roading vehicles on the market. Don’t think you can afford one of these awesome autos? Think again! Our North Canton area Chrysler Dodge Jeep RAM dealership offers plenty of ways to save on our new vehicle inventory. We offer standard manufacturer incentives, but also offer specials based on economy, budget, body type such as sedan or coupe, and programs to help our military, disabled, contractor, and realtor customers. We understand not everyone is searching for a new car, or even a domestic car for that matter. This is why we also offer a premium inventory of used cars. When our customers trade in their old vehicles, we full inspect them, repair any issues, then offer them as incredible deals. Of course, if you want one of our Chrysler, Dodge, Jeep, or RAM models, but not the new sticker price, you can choose from our certified used inventory. These are some of the best deals on the market because they are like-new (often with extremely low miles), but for thousands of dollars less than what you would pay on a brand new model. You love your car, and we want to help you enjoy is long down the road. Our North Canton area Chrysler Dodge Jeep RAM service center has everything you need to ensure your car is runs at peak performance. It doesn’t matter if it is a domestic or import, our highly trained technicians are well versed in many makes and models. Some of you may be the do-it-yourself types who truly like to connect with their cars by performing the maintenance yourself. This is fine as we have an amazing parts department. We only sells genuine OEM parts, so you can be assured they are the right fit for your vehicle and they won’t fail like third party parts often do. For more information on everything our dealership has to offer North Canton, please call Wally Armour at (877) 328-0325 today.